Born in Potsdam on Aug. 3, 1770, Frederick William III succeeded his father, Frederick William II, as king of Prussia in 1797. He began his reign by sending his father’s mistresses and favorites packing, and he let it be known that he intended to lift all existing restrictions on religion, to abolish censorship, and to improve the condition of the peasants. Soon, however, he retreated before the opposition of the conservative Prussian nobility. During the War of the Second Coalition against France, Frederick William clung to a perilous and increasingly isolated neutrality. When at last Prussia joined the Third Coalition, it reaped only the catastrophic defeat of Jena (1806). In the subsequent Peace of Tilsit (1807) all of Prussia’s Polish and western territories—roughly half its landmass—had to be surrendered. This disaster revealed the vulnerable position of a Prussia surrounded by more populous and powerful neighbors and thus gave impetus to the centralizing reforms carried out by Frederick William’s ministers. These reforms enabled Prussia to reenter the war against Napoleon in 1813. In German history this renewal of the war is known as the War of Liberation, because of explicit representation on the part of the Prussian government that it was fighting to clear German soil of the foreign invader. In 1815 the Congress of Vienna awarded certain new lands to Prussia and restored most of its lost territories. In spite of his numerous appeals to German patriotism and even nationalism during the war, upon its conclusion Frederick William joined the reactionary party that emerged during the Congress of Vienna. He refused to honor his promise to give Prussia a constitution and ordered the arrest of numerous liberals who had allowed themselves to be trapped into a careless revelation of their political philosophy. The later years of his reign were marked by undiminished reaction. The only positive achievements were the union of the Prussian Lutheran and Calvinist churches (1817), a reflection of the King’s growing concern with religious questions, and the establishment of a northern German customs union (1834), a step that was to facilitate the extension of Prussian political dominion over this area some 3 decades later. 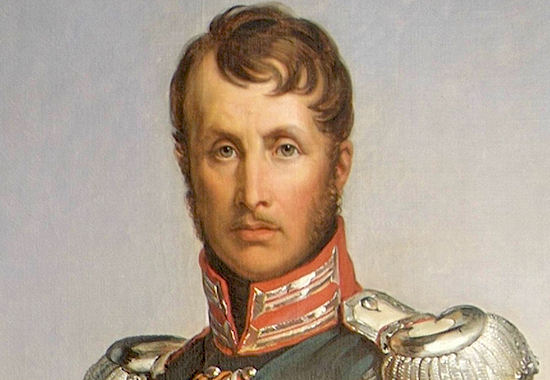 Frederick William III died in Berlin on June 7, 1840. Further Reading Frederick William III’s place in German history is examined in various works, including K. S. Pinson, Modern Germany (1954; 2d ed. 1966); W. M. Simon, The Failure of the Prussian Reform Movement (1955); Hajo Holborn, A History of Modern Germany, vol. 2 (1959); and K. Epstein, The Genesis of German Conservatism (1966).